BOOKS AND ME! : Cover Reveal Wednesday! OOH who can resist a cover reveal?! Not me!!! So it's a fabulous pleasure to be able to share this little stunner with you today fresh from HarperImpulse! 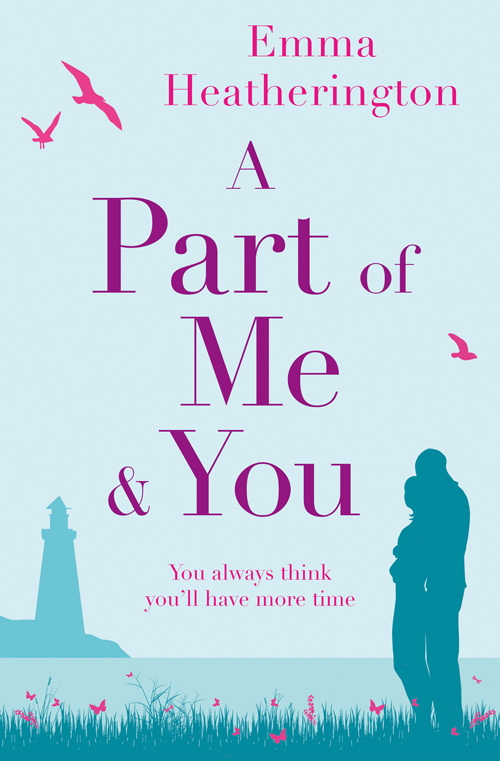 Emma Heatherington, author of bestseller THE LEGACY OF LUCY HARTE, has brought us a gorgeous tale of grief, loss, and precious moments: A PART OF ME AND YOU. Devastated at the loss of her own baby daughter, Shelley is barely managing to survive. Consumed by her grief, she has pushed everyone away – including the man who loves her the most. With her once happy marriage now in tatters, Shelley has nothing left to live for. Told you it was a stunner!! The Legacy of Lucy Harte had me in tears and I think this might have the same effect on me! Write the date down in your diaries and on your calendars! 2018 is set to be another fantastic year for books we will take to our hearts! !